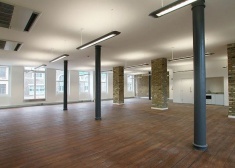 The property would suit a variety of occupiers, including architects, designers and media companies. 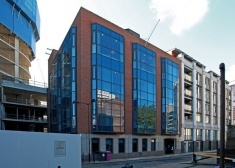 The available accommodation comprises a self-contained office space on the second floor of this newly refurbished office block. 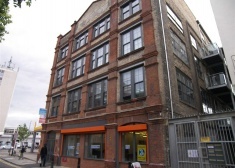 The available accommodation comprises a self-contained office space over the ground and first floor levels in this newly converted warehouse building. 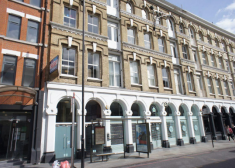 Located on the east side of Commercial Street close to its junction with Thrawl Street on the edge of the City’s square mile in the heart of Spitalfields. 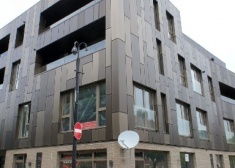 This new development offers this self-contained ground floor office unit which provides an open plan space with high ceiling and good natural light. 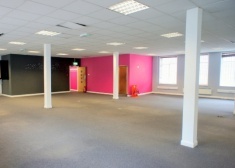 A self-contained first floor office which is offered in a good condition. 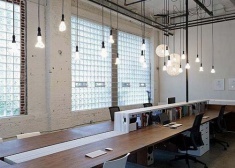 The property is currently configured with glass-partitioned meeting rooms/private offices. The property also benefits from separate ladies and gents WCs and a kitchen. 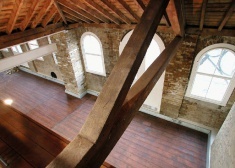 The property comprises a brick built building arranged over five floors. 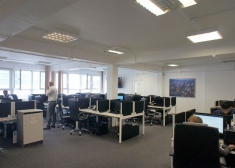 Internally, the property comprises office accommodation throughout.